I am not sure why my legs just won’t swing out of bed in the morning…maybe tomorrow will be the lucky day! I settled for 3 morning miles – the last one with the pup! My tapering legs are finding some faster paces easily…so I really need to slow down!! But it does help with the pup…she is a speedy one! Since we are in the wilderness, I didn’t have cell signal for a couple days – no Instagram snips to show for : ) Either way, my upcoming blog post about the weekend will show some of the amazing views! I ran around the lake a little bit, planned on 10 miles, but got back to camp with over 5 and decided to call it a day! The elevation was getting to me a little and I didn’t want to spend hours away from the family when this trip was not about me… Breakfast was ready when I came through to get more water and I just decided to stop. Plus, the hubs and I went on the hiking trail and around 500′ up the mountain! I am not sure I thought I would ever be able to run or explore with my hubs – but his new found fitness is changing that! I just hope that I won’t stop at the main aid station next weekend when I am only halfway though my race! Oh boy! This week is my big race!! Oh well, ready or not, the day is coming soon! I will earn that amazing mug!! While my current plan is directed at my first 50m attempt this coming weekend, I am also thinking about my next running event this fall! 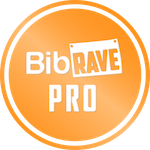 I will be running the Kansas City Marathon as a BibRave Pro on October 21st! Have you registered? If not, you should use the offer “BIBRAVE17” at checkout for 15% off your KCM distance of choice! Not ready for a marathon? Register for the 5K, 10K, or half marathon distances too! I’ll see you on course! I’ll be sporting the BibRave ORANGE! Check out why I think you should run the KCM and what I am looking forward to this year! I’m looking forward to seeing your 50 miler!! I am planning on doing the Mohican 50 mile trail race (in Ohio) next June. It will be my first. Good luck on your race!!! Yay! I am anxiously awaiting this weekend…eekkk! Where did the last 18 weeks go?! Seemed like a long time when it all started, right? haha Good luck!! I love that you pick your pup up for a few miles. I’m sure she loves that! Sounds like a great week! When we were in UT, I did my last long run and then I just hiked until the race. 🙂 Well, I did do one run, but yeah, that elevation can get to you! I hope you are having a great taper week and good luck with the race! Thanks! The elevation got to me a little the second day…and then we were headed home soon after! Not too shabby! Hey, if you were going to take a chill week, this is the week to do it, right? WOOHOO for race week!!! Oh boy! I wish I had some major miles to run this week…the cooler temps are SOOOO tempting! Yay for race week! Ps. Your dog is absolutely ADORABLE!